From the moment your cruise guests step ashore, you can rest assured that they are in safe hands. Trained and knowledgeable staff work with you all the way. Our Port Managers are available throughout your stay to help and assist your shore excursion team, with everything from setting up security points on the quayside ready to accept the ship's tenders, through to marshalling passengers, liaising with coach providers and tour guides, as well as all the routine procedures carried out dockside when in port. They are also able to assist in dealing with the authorities and Harbourmaster's department during your visit. Whether your team are regular visitors to St Peter Port, or new to our shores, you'll find a warm and friendly welcome every time from Intransit. We're always ready to help. 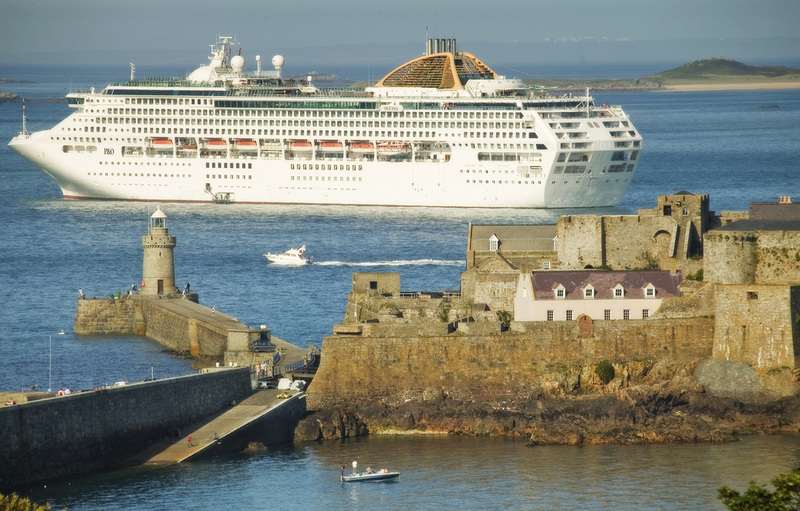 For operators with guests arriving and departing by air at Guernsey Airport, or by scheduled ferry at St Peter Port Harbour, we are able to provide 'meet and greet' facilities, as well as check-in assistance upon departure. Please contact us on +44 1481 245845 to discuss how we can help.